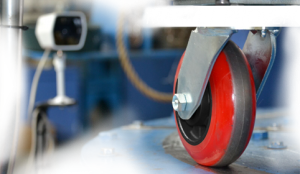 Colson Caster, the world’s leading manufacturer of standard and custom application caster and wheel products, announces its first wave of a new marketing campaign: Made in the USA. 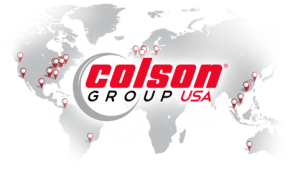 Colson has manufactured many of its most popular caster products in the USA for over 125 years. The campaign is a new initiative to proudly display the company’s commitment to U.S. manufacturing. As part of the Made in the USA initiative, Colson created several elements of support. 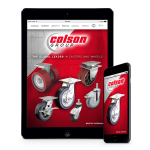 A special website landing page ( www.colsoncaster.com/USA-Made) provides direct access to literature and specifications on Colson USA made products. In addition, the web page incorporates a form where users can request additional information about specific products. Literature and email marketing will also support the initiative to kick start conversations with customers and prospects on the many advantages of products made in the USA. Colson brands manufacture a variety of industrial caster products in two Northeast Arkansas facilities. 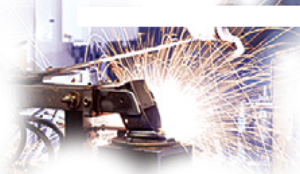 The Jonesboro, AR location manufactures industrial casters (withstanding up to 6,000 lbs each) from coiled steel, stamping, robotic welding, plating, assembly, quality assurance and extensive testing. 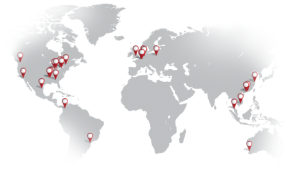 The Colson wheel plant in Monette, AR specializes in injection molding of various proprietary and standard plastic and rubber materials, which require in-house CNC machining, assembly, quality control and testing to meet customer demands.